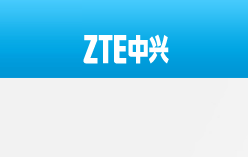 ZTE announced commercial activation of the full-service IMS network it built for China Telecom. The network, which ZTE describes as the world’s-largest IMS project under construction, is already serving approximately 3 million users in China’s Jiangsu and Fujian provinces. In Jiangsu, user numbers have reached 1.5 million, and in Fujian, the network has approximately 1.4 million users. ZTE provided large-capacity core network services to China Telecom. Further, its fixed-network transformation solution fully interconnects with all existing access modes, including PRA, BRA, H.248, MGCP, H.323 and others. ZTE supports the most access types of any vendor, helping ensure smooth network evolution. To ensure future multimedia service development, ZTE also has created convergence between intelligent services and new multimedia services. ZTE also provides complete network security solution in levels of board, NE and regional disaster redundancy, as well as perfect bypass mechanisms. The company has been given a top performance rating following security tests by China Telecom. ZTE also noted that it has signed more than 150 commercial/trial contracts globally for its IMS solutions. Anite announced the commercial release of an LTE-A and carrier aggregation ("CA") testing solution for mobile network operators and network infrastructure vendors. Anite said LTE-A CA measurements with its Nemo Outdoor provide detailed information about the primary and secondary component carriers, including physical cell ID, signal levels and quality. Also link adaptation and radio resource allocation can be monitored among many other detailed LTE parameters. Testing business. He continues, "Key industry players are already preparing for LTE-A and carrier aggregation deployments. With our help operators can make sure their networks are optimised for providing the high data rates their customers are demanding." "It is unthinkable that the United States could default on its financial commitments, and it would be the height of irresponsibility for any public official to consider such a course. In fact, even the discussion of default poses great risk to our economy and to our country. It is imperative to our Nation that the overwhelming majority of our public officials who recognize this reality unite their efforts, regardless of party, to bring a responsible solution forward." Mavenir Systems filed a registration statement with the Securities and Exchange Commission for a proposed initial public offering of its common stock. Mavenir plans to list its common stock on the New York Stock Exchange under the ticker symbol "MVNR." 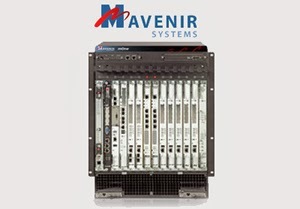 Mavenir supplies software-based communications solutions that enable mobile service providers to deliver high-quality IP-based voice, video, rich communication and enhanced messaging services to their subscribers globally. Its mOne software platform supports Voice-Over-LTE (VoLTE) and Rich Communication Services 5.0 (RCS). MGM Resorts International has extending its high-density Wi-Fi network to its Monte Carlo, New York-New York, Luxor and Excalibur properties. The Wi-Fi network covers the low-rise public spaces – including pools, casinos, lobbies and restaurants – any place a visitor may wish to have mobile service. The rollout began with Bellagio, MGM Grand, Mandalay Bay including THEhotel, and The Mirage, all completed at the end of 2012. The Wi-Fi at ARIA, Vdara and The Shops at Crystals, that launched with CityCenter's opening in 2009, has been integrated with the new system so guests have seamless Wi-Fi connectivity when traveling from resort to resort and the same customizable Wi-Fi experience and bandwidth options, regardless of which property they are visiting. 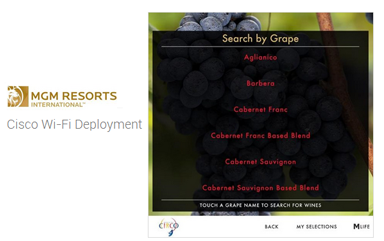 Cisco is the lead vendor for the project. "No one else in Las Vegas, and even the world, within the Hospitality industry can offer the scale, quantity and quality of wireless services we now have available," said John Bollen, Senior Vice President and Chief Digital Officer for MGM Resorts International. "We implemented the same commercial-grade technology and design solutions used at last year's Super Bowl and Summer Olympics to provide even better engagement with MGM Resorts' world-class destinations. With this new capability and the right technology partners, we are developing and enhancing innovative products and services based on our customers' needs, interests and preferences to deliver the best possible experience at our premier resorts."